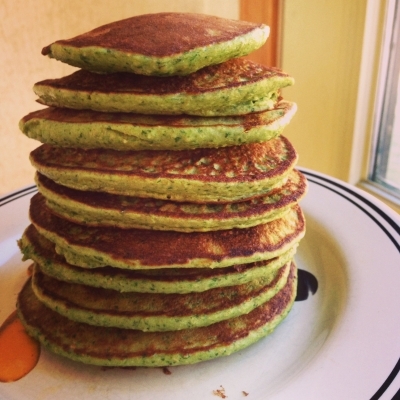 A great way to eat your spinach in these gluten free protein pancakes! Mix ingredients in a blender. Pour mixture onto a preheated skillet sprayed with a non stick spray in circular disks. Flip and cook pancake on each side for roughly 1-2 minutes. Eat and enjoy!